The International Institute for Species Exploration has announced its Top Ten for the year, including a snail with no eyes and the first new carnivore in the Americas for 35 years. Scientists estimate there are still 10 million species to add to the 2 million we know about. 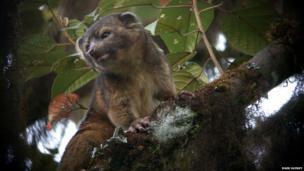 A top 10 list of species discovered in the last 12 months is topped by the olinguito (Bassaricyon neblina), a carnivore dwelling in the treetops of the Andes. This racoon relative caused a stir after a neglected specimen was first discovered in a Chicago museum drawer. 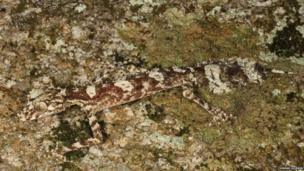 The list compiled by the International Institute for Species Exploration includes the leaf-tailed gecko (Saltuarius eximius). With a wide tail for extra camouflage, it waits for its prey on vertical surfaces of rocks and trees in north-eastern Australia. 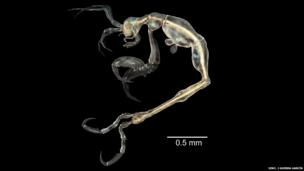 A new, translucent skeleton shrimp (Liropus minusculus) is the smallest in its genus and hails from the waters off sunny California. 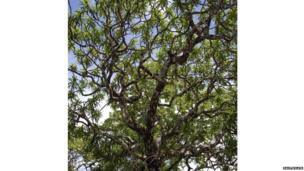 At 12 meters tall, Kaweesak's dragon tree (Dracaena kaweesakii) is inescapable evidence that not all undiscovered species are microscopic. 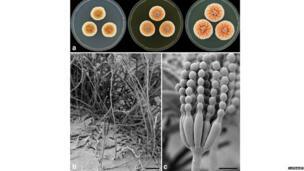 Named as a tribute to the Dutch royal family because of the bright orange colonies it forms, this fungus (Penicillium vanoranjei) was isolated from soil in Tunisia. 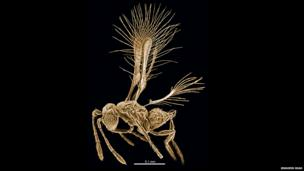 A new parasitoid wasp from Costa Rica, Tinkerbella nana, is named after Peter Pan's diminutive companion and belongs to the minute family commonly known as fairyflies. 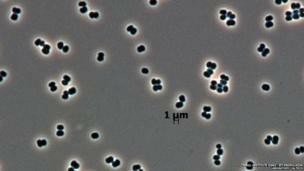 These newly discovered bacteria (Tersicoccus phoenicis) are called called clean room microbes, because they resist our attempts to sterilise places like the spacecraft assembly rooms where they were detected. 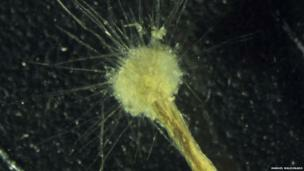 Among single-celled creatures, this 4 to 5cm amoeboid from the Mediterranean (Spiculosiphon oceana) is a giant. It builds a shell from sponge fragments and feeds on invertebrates. 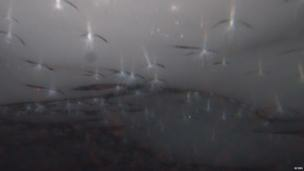 The first sea anemone ever reported to live in ice (Edwardsiella andrillae) was photographed under a glacier in Antarctica. 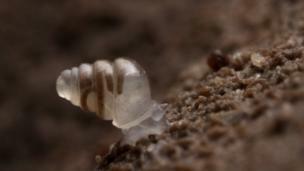 Found in pitch blackness 900m below the ground in Croatian caves, this tiny domed land snail (Zospeum tholussum) has no shell pigment, no eyes, and crawls a few millimetres a week. Words by Jonathan Webb.